Grocery shopping... well, it has its moments. The moments when you run into some Angus corned beef, locally made kimchi or heretofore unknown jars of spicy pretzel dip. So tuck your list into your pocket and head for Glen’s Garden Market, a new bar/wine shop/deli/locally sourced grocery store, now open just north of Dupont. This is not the place to stock up for end times. It’s not even the place to stock up on paper towels. No, this is the kind of place to go when date night is at your place. Then, beer in hand, you’ll make the rounds. 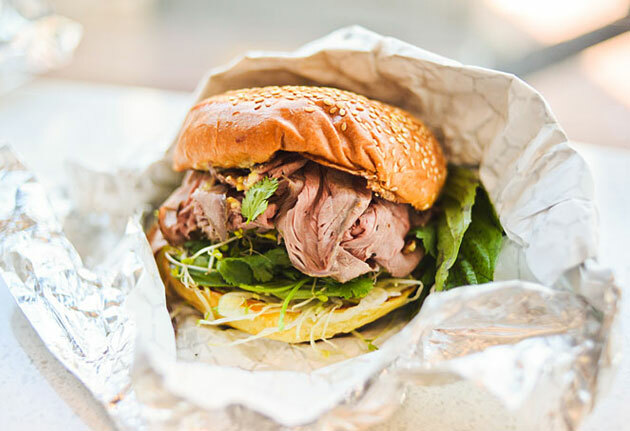 If it’s movie night, you’ll want to order a couple bison pastrami sandwiches or veggie banh mi from the sandwich counter. But if you’re doing the prep, train your sights on the house-smoked ribeye, pickled asparagus and Guinness ice cream. Oh, and don’t forget the ginger/maple bison sausage, cheese biscuits and rye-barrel-aged maple syrup. You may be cooking breakfast, too.